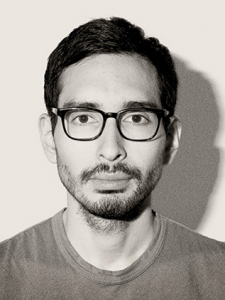 Robert Vargas (pictured) has been named Bloomberg Businessweek’s new creative director. Vargas has been art director at Businessweek since 2010. Before joining Businessweek, Vargas served as Blender’s art director, New York’s associate art director and Details’ assistant art director. Vargas is succeeding Richard Turley, who left Businessweek to join MTV. In other Businessweek news, Tracy Ma, the magazine’s assistant creative director, has been promoted to deputy creative director. You can read Tyrangiel’s full note below. Effective immediately, Rob Vargas is the new creative director of Bloomberg Businessweek and Tracy Ma is our new deputy creative director. Ok, so they’re not technically ‘new.’ Rob is a founding member of the Bloomberg Businessweek design team and is already well known outside this building for his stunning covers. From the fishnet legs of Ashley Madison to his recent re-creation of a Marvel comic, Rob’s ability to turn any concept into something worthy of a poster makes him one of the most unique talents in our business. He’s worked at a few other places (Blender, New York, Details, The New York Times Magazine) and won lots of confusingly named awards (SPDs, DNADs, ADCs, and let’s not forget his B-First) but what’s most impressive about him is that he doesn’t care about any of that. He lives to make things cooler, smarter, and more beautiful, and I can’t wait to see how he drives our look forward. Tracy Ma joined us in 2011 after stints at Toronto Life Magazine and the Leo Burnett agency. Her greatest hits include the psychedelic tea-sipping Ted Cruz cover and our Lenovo tech-scavenging raccoon, but those who work closely with her know that she has a talent for quietly inserting great ideas into everything she sees. Tracy did all the branding for our 2014 Design Conference in San Francisco—a heroic feat—and will continue to own experiential design. She also holds the distinction of being our first Hong Kong-born, Toronto-raised, mime-studying deputy creative director. Tying the department together, as always, is design director Cindy Hoffman. Cindy is the intellectual glue that holds so much of the magazine together, and we’ve asked her to get sticky with a new group: Bloomberg Visual Data. Working with that team, she’ll be figuring out what we can learn from each other and how we can expand our footprint with data stories that will blow people’s minds. Please join me in congratulating Rob and Tracy on their well-earned promotions, and Cindy on her new duties and routine excellence, by going right to their desks and giving each of them a giant bear hug. Squeeze tight!